Let me start off this review by admitting that this is the only Dickens work I have read, outside of "A Christmas Carol." To be perfectly honest, the reason I have yet to delve into his works is because I had very poor expectations of his work by others that have read his well-known material and detested it. In addition, Dickens has been voted down in my book club for over three years running. I finally decided to just plunge into his work, and I begun with "A Tale of Two Cities" because a close friend of mine told me that I would enjoy it. She was right. "A Tale of Two Cities (1859) is a novel by Charles Dickens, set in London and Paris before and during the French Revolution. With well over 200 million copies sold, it is among the most famous works of fiction. The novel depicts the plight of the French peasantry demoralized by the French aristocracy in the years leading up to the revolution, the corresponding brutality demonstrated by the revolutionaries toward the former aristocrats in the early years of the revolution, and many unflattering social parallels with life in London during the same time period. It follows the lives of several protagonists through these events. The most notable are Charles Darnay and Sydney Carton. Darnay is a French once-aristocrat who falls victim to the indiscriminate wrath of the revolution despite his virtuous nature, and Carton is a dissipated British barrister who endeavours to redeem his ill-spent life out of his unrequited love for Darnay's wife, Lucie Manette." There were a few things that I was expecting from having talked to others about Dickens. 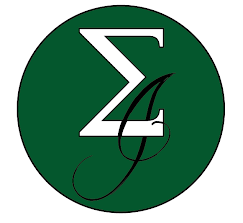 Since he grew up in a poor family and hated social inequities, I knew there was going to be some sort of struggle between classes, which their obviously was. I have been told that a majority of his work is set in England, which seems logical given that he was born and died there. What I did not expect, was that Dickens is a satirist. Being critical of class structures sometimes leads itself into being a satirist, but that doesn't necessarily translate 100% of the time. I was pleasantly surprised at how subtly humorous Dickens was. I'm sure there were plenty of things that went over my head, but I laughed out loud a few times at some zingers which resonated with me. I was also not expecting the novel to be such a mystery, and here I have to tip my hat to Dickens. Not only did he write a mystery, but he used no shameless Dan Brown mystery techniques... and it doesn't come across as an English Agatha Christie type mystery. It's obviously LITERATURE and not intended to be in the MYSTERY genre, but Dickens displayed many scenes without giving background into what was happening. Either this is done because a writer is poor at his/her craft, or because he/she wants to surprise you with something. The air of mystery surrounding these scenes was so refreshing... it seemed to combine my love of the genre as a child with my love of literature as an adult. I had no idea the two could be put together so seamlessly. Here is what I jotted down as I was reading: "Has a way with making things mysterious, but still has a literary air." The other thing that appealed to me is that Dickens is dramatic. I think I should capitalize the word to give it more emphasis. Dickens = Drama! I can see where some would be put off by this, but I loved it. It wasn't subtle like the humour in the novel, but it was really compelling to me... quite possibly because I am a dramatic person. My spouse can be a drama queen, so perhaps I just have an affinity towards it. I did find that Dickens had the tendency to go off on tangents. When he was describing the history of Monseigneur, his house, his servants, his frivolous lifestyle, etc... basically the definition of a corrupt aristocrat, I tuned out a little. I appreciated a little background, but not necessarily a whole chapter on it. I could see where readers could get put-off of Dickens, but I didn't find too many occasions of this in the novel. He had a tendency to jump around to various other characters in the story, but all jumping seemed to be properly placed in keeping with the story. So that's my view on Dickens, based on this one experience. Let me talk a little bit about the novel. "A Tale of Two Cities" was rooted in real-life events, and I only found this out after searching "Bastille" on the Internet to find out exactly what Dickens had detailed the fall of the Bastille (a fortress-prison) in Paris in 1789. The title of the book was obviously about the different natures of both London and Paris at the time . So the two cities were represented by peace (London) and turmoil (Paris) and chronicled the class disparity between the aristocrats and the peasants... which could be seen as two distinct cities as to themselves. The city where the aristocrats lived, a beautiful Paris where money was not a concern and indulgence was normal to a Paris as viewed by the peasants, where people starved daily and their government leaders had abandoned them. The dualism in the book was poignant, and Dickens' opening lines stress the power of perspective, "It was the best of times, it was the worst of times" and then went on to say that the novel spoke of a period that "was so far like the present period". Every society has had it's rich and it's poor, and the viewpoints of both classes can be remarkably different. I liked the theme of man (in this case, Charles Darnay) running away from a difficult situation and ignoring his responsibilities to lead a quiet life with the woman he loved. Was the man a coward or was he sensible? Did he due greater harm to the people of Paris and if so, was he justified in doing harm? Do some people have a duty in life that they must face or do we all have a duty to live the life we WANT to lead? Due to the way Sydney Carton ended his life, does this make him a hero? Is it more noble to abuse yourself for years in a self-deprecating nature to eventually self-deprecate for a purpose? Is this what heroes are? Was Carton a hero or was he just finding the easy, noble way to peace of mind? Hard to tell. This work is full of questions and Dickens does not attempt to answer them. I enjoy the fact that he left these decisions up to the reader. I enjoyed every minute of this book, minus the one diatribe about Monseigneur. I am a current fan of Dickens, and I plan on giving some of his other work a go. I'm still intimidated by the length of some of the novels, so I'll probably continue with a shorter work like "Oliver Twist" or "Great Expectations." Thoughts on this in the book blogging community? Yay! Not everyone picks up on the satirical humor and that is my favorite aspect of Dickens. Great Expectations is even better in that respect. I would highly recommend GE next! Wonderful review of ATOTC! I spent much of 2008-2009 reading all of Dickens' novels in the order that he wrote them. I had read probably half of them prior to that, but it was a fascinating experience to go through them again. Hi! Allow me to put in a good word for Dombey & Son. It's a lesser known novel but I think it is one of Dickens' best. I also enjoyed David Copperfield for the autobiographical aspect, and of course Great Expectations and Bleak House and.. well, they're all good! Great review - I love A Tale of Two Cities. My other favorite Dickens novel is David Copperfield. I've read a few of his novels, but I really need to keep reading them. I've enjoyed each one that I've read. I was bowled over by this novel too, and have David Copperfield on my TBR list for early next year. It looks enormous, but the beginning is catchy. 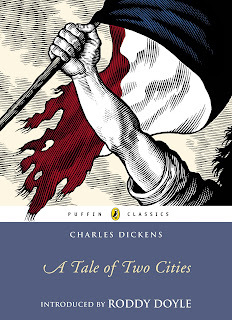 It is a few years since I read A Tale of Two Cities, but I remember being surprised by how much I enjoyed it. The satirical humour and drama caught me by surprise too. I discovered your blog on the Hop and I am a new follower. Great review! This is one of my very favorite books. I read it last year when I was studying European history as it made an interesting supplement to the French Revolution. I am a student who enjoys reading classic literature and was thus pleasantly surprised when I stumbled upon your blog.